Come see us at Nissan South in Morrow, GA! Nissan South conveniently located off Interstate-75 at 6889 Jonesboro Rd, Morrow, GA operates on our solid reputation of having the latest Nissan models, quality pre-owned vehicles in a large variety of makes and models, an affordable payment savvy finance department, as well as a professionally trained service and parts center to serve every customer’s automotive needs. If you’re searching for a new or pre-owned Nissan with low monthly payments, come by the Nissan South dealership. We look forward to assisting you find the car, truck, SUV or minivan that you want. Our new model Nissans are rolling on the lot in a terrific assortment of colors and trim details! Find all the new popular sedans, like the Versa, sentra and Altima, or you can load up all your family’s gear comfortably in a Quest minivan. Looking for a truck with hauling capacity? We offer two powerful models, the Frontier and the Titan. For your off-the-road excursions or if you’re simply wanting to drive the city streets in style, we have the new line of SUVs, like our model Pathfinder. Whatever new model Nissan will fit your lifestyle and budget, Nissan South invites you to come test drive one today. Call our knowledgeable sales staff if you’re in the Atlanta area to set up an appointment at (770) 968-1360. If you’re in the market for a wonderful used car, truck or SUV at a fantastic price, we’re certain that you’ll find it in our pre-owned inventory at Nissan South! Our inventory consists of a large selection of stylish, sporty, dependable and very affordable quality-inspected vehicles. Our friendly, no-pressure sales staff will let you test drive one today! Nissan South also offers automotive loan financing through our Finance Department. Ask one of our finance managers about our Credit Assistance Program. Our dedicated team of sales and finance associates treat our customers with care and take your automotive concerns seriously. Our mission is for you to have a pleasurable car-buying experience with us and see you drive away in your new or used Nissan! Come by our dealership at 6889 Jonesboro Road in Morrow or call us at (770) 968-1360. We look forward to assisting all our customers in the greater Atlanta area. We are passionate about providing our South Morrow customers with the best possible customer service in every department of our Nissan dealership, including our outstanding Nissan Service Center. From oil changes to alternator repair, our professional technicians provide excellent quality car care. Schedule your routine maintenance or repairs easily online, or call us at 470-880-8871. 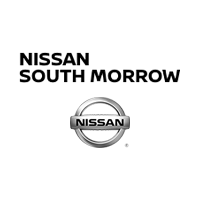 Contact Nissan South in Morrow, near Jonesboro for all of your new or pre-owned automotive, or service needs. We invite you to stop by our dealership at 6889 Jonesboro Road in Morrow. We’re only 10 minutes away from Clayton State University and less than 5 minutes from Southlake Mall. We proudly serve all the greater Atlanta area.